01 Leather For that supple touch and elegant look, never settle for an attaché that is not made with full or top grain leather. 02 Finishing If you are not sentimental over the ageing process of your leather good, opt for a grained leather finishing, which comes with a protective coat 03 Gusset A soft and expansive gusset allows carrier more style and organization options. Begone with the days of boxy leather briefcase. 04 Compartments Need we say more? How to werk it if you can’t compartmentalize it? 05 Retro Touch Elegance is all about getting that retro look right - savoir faire not old! 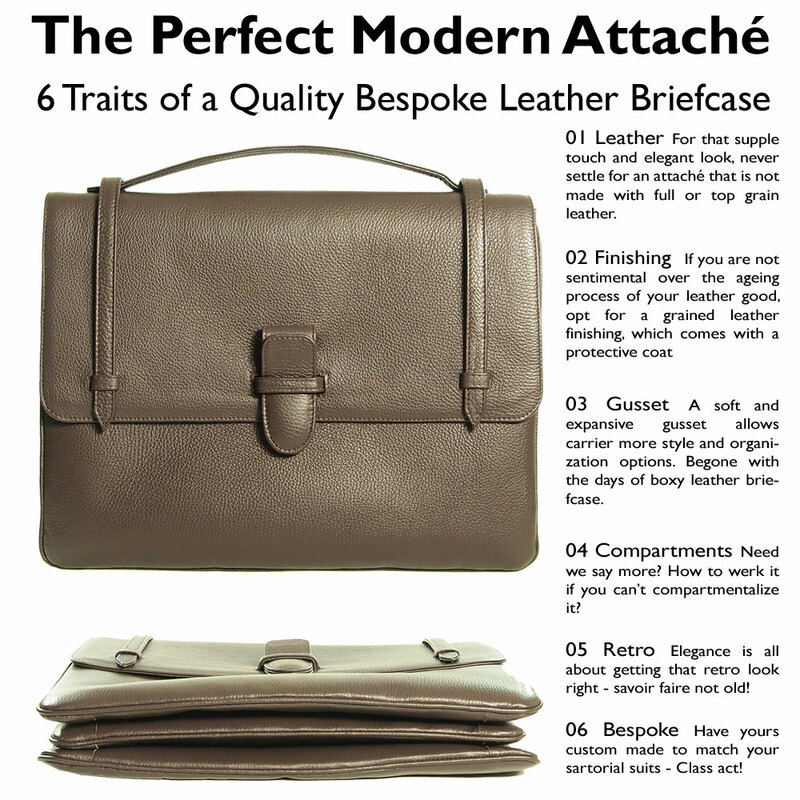 06 Bespoke A good leathershop will always give you the option of having your attaché custom made to match your sartorial suits - Now owning in the colour of your choice is a class act indeed!